Throughout the ages, people have relied on herbal medicine for healing. All cultures worldwide have folk medicinal traditions that include the use of plant products. However, many of these traditional plant resources are in danger of being lost due to the degradation of the enviroment and changes in communities traditional values. 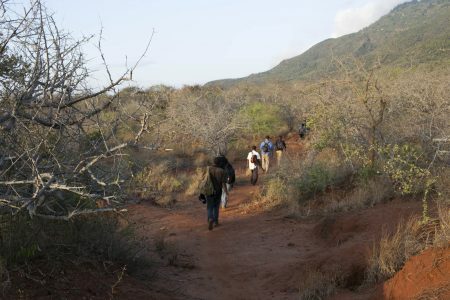 Sagalla location in Taita-Taveta County, Kenya, has the Sagalla community as its main occupants. 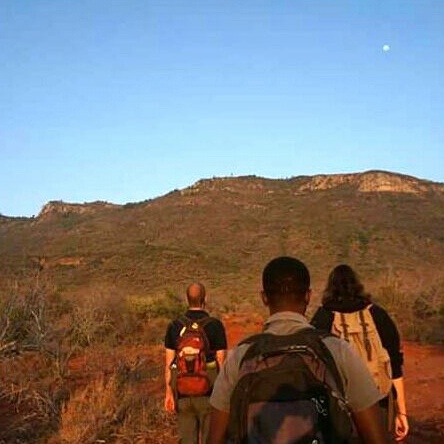 Located in the southern half of Kenya and next to Tsavo East National Park, the area has varied terrain with different amount of rainfall. The lower region towards the park experience relatively low rainfall amounts and higher rainfall towards Sagalla hill and highlands. These variables, together with other factors have shaped the richness and uniqueness of plant resources in the area. The difference and varieties of plant resources in our different geographical regions is often due to different terrain influence our use of different plants species for various purposes such as healing. For many years like other rural and indigenous communities, the Sagalla community have used medicinal plants for the alleviation and management of diseases and are among the few communities today who have retained most of their knowledge about the use of plants for a variety of purposes. 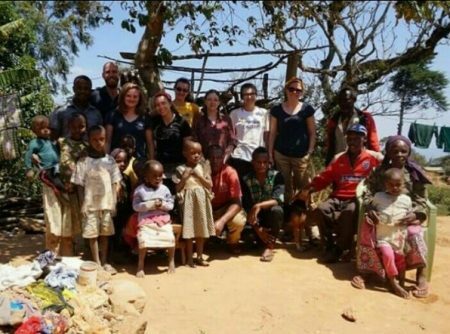 During my internship with Elephants and Bees looking at honey bee floral diversity, I also had a chance to interact and learn from the community and my colleagues who passionately and voluntarily shared a wealth of their accumulated knowledge on the important use of medicinal plants in the community. 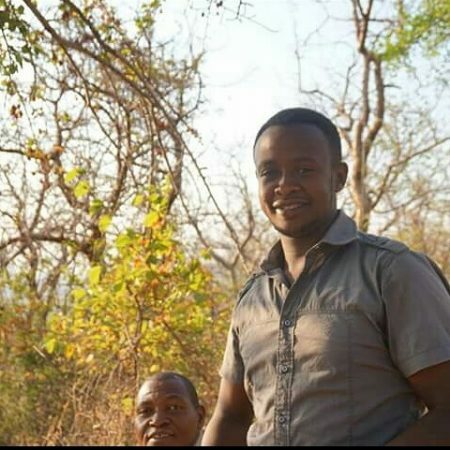 Paul Mwakingale is one of the local staff with elephants and bees and a local healer in Sagalla who learned his skills from his father and shares information and his experience as a herbalist with us during our time at the project and also as we hike the Sagalla hill. Medicinal plants are plants or plant parts used for medicinal flavoring or fragrant properties. Leaves, flowers, stems, roots, seeds, fruit and bark can all make up herbal medicine. However, some plants have potentially harmful effects, therefore it is important for users to understand the full range of their use and biological activities by consulting a traditional physician. Even in the modern world, medicinal plants play an important role in sustaining human and animal health. For the rural and more indigenous communities, medicinal plants have a critical importance providing people with a relatively cheap health option where modern medicines and healthcare facilities remain scarce and expensive for most people. As if not enough, traditional herbal medicine have an important economic as well as cultural role. Knowledge of their use is widespread but declining. Based on their long history of use and success to cure, their function and effectiveness is well trusted. Today, natural products such as plants and ethnopharmacology remains a significant hope in improving the poor livelihoods of rural communities who don’t have health facility around them and those who cannot afford hospital bills. 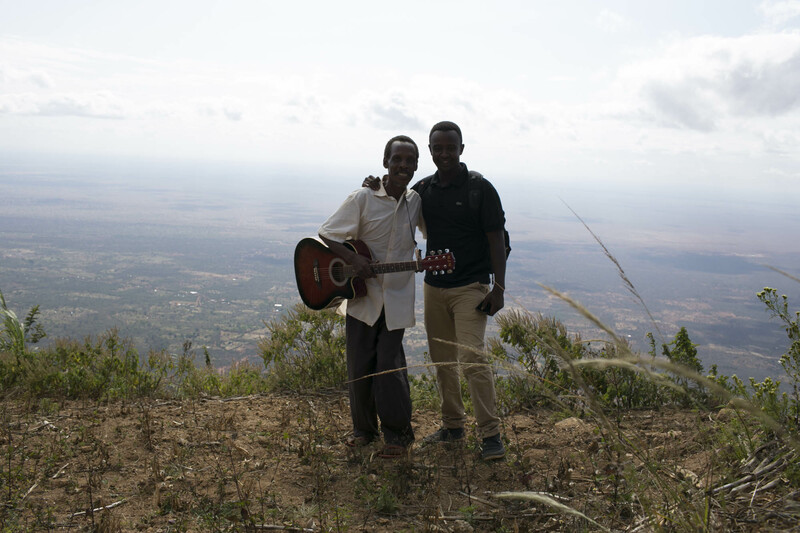 Paul Mwakingale the local herbalist – increased biodiversity and green vegetation at the top of the hill as seen in this picture. The socio-economic life of most rural communities depends highly on the ambient vegetation around them. This is the source of most of their material requirements such as fuel, timber, food, medicinal plants etc. In our societies today, the harvesting methods of these plants are detrimental to the survival of the plants. For instance, some methods of herbal medicine collection include uprooting of whole plant. The practice of exploiting plant parts such as roots of relatively slow growing plant species can result in a decline in distribution and the size of populations of the exploited species which can even lead to local extinction of important plant population. 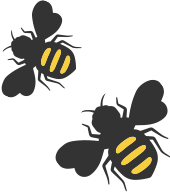 As a result, commonly used and effective herbal plants become rare and endangered where one has to search and cover long distance to find them. The availability of medicinal plants particularly affects women, since they are frequently responsible for family healthcare and sometimes they will have to walk increasingly long distances to gather them as their availability diminishes. In most cultures women in rural areas have a real need for healthcare and medicinal plants, therefore it is important to take decisive conservation measures for revival of this plants in our ecosystems. Photo of me at the bottom of the hill showing less plant biodiversity as is seen on the top of the hill. Most medicinal plants used traditionally are important sources of many conventional drugs. Most of the new or modern developed drugs in the larger pharmaceuticals companies and market, are derived from natural sources such as plants. Despite major scientific advances we have made today, human health is still overwhelmingly dependent on the plant kingdom. Several drugs previously extract from the wild are being synthetically produced in the laboratory today. It has however in some cases it has been proven impossible to reproduce some beneficial compounds found in plants with some plants having complex biological functions and chemical structures making it hard to produce them artificially. 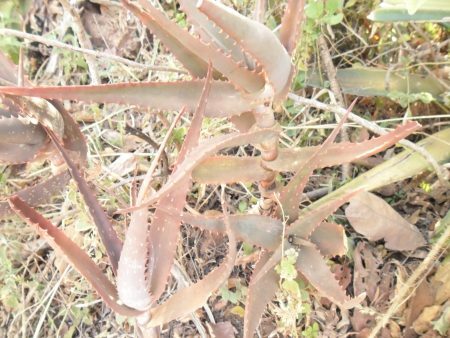 A photo of Aloe sp – the leaves are locally used to treat malaria and is commonly found in dry, lowland areas of Sagalla. For safety and sustainable use, the plants species used in local healthcare systems with the help of scientists and experts should be verified scientifically and awareness should be created amongst the local people on the usefullness and sustainable use of the plants in their ecosystems. Understanding of medicinal plant species within cultures and communities will allow for bio-prospecting of new drugs for the treatment of current and upcoming diseases. With areas such as Sagalla, a special problem arises in the case of cryptic habitats, defined as portions of an ecosystem that are hidden from scientific investigation with components that are not readily discoverable with current state research techniques. Such habitats are large reservoir of the earth’s biota and in these cases, continuous habitat degradation and associated biodiversity loss due to human activities may have occurred before researchers have intercepted scientific data/information and discovery. The loss of medicinal plants today in the world may not always be at the forefront of the public eye and consciousness, however continuous loss of these plants could destabilize the future of global healthcare in turn putting lives at risk. Here is Croton sp found on hills of Sagalla. The roots and barks used to treat chest infections and abdominal discomfort according to Paul. 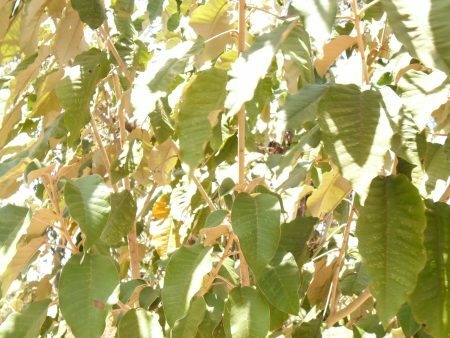 The knowledge of medicinal plants is important in the sense that it reduces medical expenses for users in Sagalla and more rural and indigenous communities. Today, the knowledge about traditional herbal medicine has declined in most of our culture and communities when compared to previous years as we empress change and modernization. In most cultures, the majority of local healers prefer to collect medicinal plants solely to preserve their secrecy sometimes accompanied by the chosen family member(s). The knowledge is transferred to that trustworthy family member by word of mouth rather than through a well-organized written script. Some of the healers and herbalists are reluctant to pass the knowledge leading to the fragmentation and loss of the indigenous knowledge system and eventually the peoples’ value of medicinal plants. Lack of knowledge about this plant species has contributed to ignorance and misuse of them endangering their existence. Understanding and documenting the importance, uses and threats of plant species within our culture and communities will help bring awareness and improve appreciation of the need for their conservation and sustainable use of medicinal plant species. 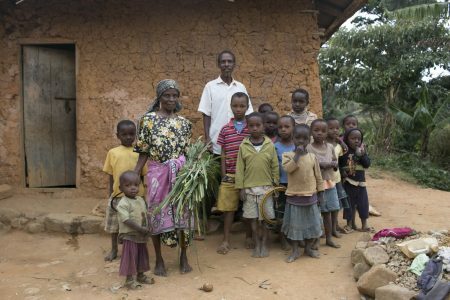 Paul’s mother with her grandchildren – she plays an important role in ensuring good health for her family. Both opportunities and challenges can be realized with traditional herbal medicine. 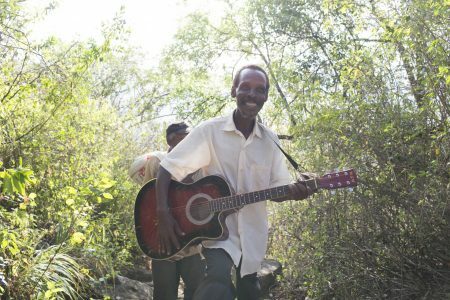 Like most rural areas in the world, herbal medicines offer an inexpensive and safe alternative to users in Sagalla. Many consumers of herbal medicine believe that such medicines are safe because they are natural. This however might not be true since plants may interact with synthetic drugs from human activities such as herbicides and pollution wastes to cause toxicity in plants and to the patient or the user. The standardization of purity and dosage of use of this medicinal plants is not mandatory and well determined in most of cultures and rural communities. But even plants of the same species group that has been used overtime may differ or even change with time as a result of biochemical variations within a species of plants and their environment affecting the purity and eventually prescribed dosage. Plants also have chemical defense mechanisms against predators they use to survive and this can as well have lethal effects on humans. It is therefore important that healers and consumers to be given support in basic science-based information on dosage, contraindications, and effectiveness of this plant for their safety and effective use. In conclusion, since ancient times, plants have been an important source of both curative and preventive medicine for human beings and animals. Plants and herbs has been used for treatment of diseases and promotion of health throughout the world. Natural sources and plants form the backbone of modern medicine and contribute largely to the commercial drug preparations. For some, traditional herbs are used as an addition to their primary healthcare. For others, it is their preferred method of treatment. However, in many developing societies, traditional medicine is the only reliable system of health care readily available and affordable to them. Regardless of the reason, all the users should be assured that the products they use are safe and well protected to serve the needs of current and future generations. If sufficient scientific evidence or benefit is found for a particular herbal medicine, support and legislation of this should be allowed to promote appreciation and use of these plants to promote community health and the treatment of diseases in our societies at convenient and affordable costs.